NEW DELHI, India, May 7, 2012 (ENS) – India is considering integrating Israeli water technologies into a national initiative to clean up the polluted Ganges River, which provides water for 40 percent of India’s population in 11 states through which it flows. Indian engineers, scientists and officials from water technology companies visited Israel late last month to explore the possibilities. The cooperative effort to clean India’s holiest river has its source in a water technology cooperation agreement signed by officials of the two countries during the visit of India’s Minister of Urban Planning Kamal Nath to Israel in February. Minister Nath’s visit came at the invitation of Israel’s Minister of Industry, Trade and Labour Shalom Simhon. The water technology agreement was signed between D. Diptivilasa, India’s deputy minister of urban planning and Boaz Hirsch, deputy director of Israel’s Ministry of Industry, Trade and Labour. Under the Joint Declaration, an India-Israel Working Group will be created with the objective of long-term planning, development, improvement and sharing of technology related to water, waste water and sewage management. The centers would serve as platforms for presenting innovative technologies addressing the clean water India faces, such as a water quality standard for drinking water, the treatment of wastewater and the re-use of treated wastewater. “In India there is a great need for extensive solutions in a variety of fields – from desalination to wastewater treatment, from water efficiency to water creation. Israel’s innovative water industry is able to offer solutions to many of these needs,” said Oded Distel, head of Israel NewTech, a national program led by the Ministry of Industry, Trade and Labour. 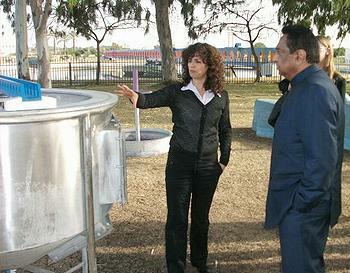 One of the NewTech’s goals is increasing Israeli exports in the water and alternative energy sectors. India is urbanizing rapidly, which increases the need for water solutions, and also increases the resources available to create solutions. Minister Nath said Israeli companies already have completed successful water projects in India, such as India’s largest desalination plant constructed in Jamnagar, Gujarat by IDE Technologies. Earlier this year, the Israeli water purification company Aqwise won a huge project to purify water the Yamuna River to serve the more than two million inhabitants of the city of Agra, where the Taj Mahal is located, with clean drinking water. The visit of Indian water experts to Israel follows months of planning by India’s Environment and Forest Ministry to establish a large-scale integrated program to clean up the polluted Ganges. Visiting Tel Aviv in March, Indian Institute of Technology Kanpur’s Professor Vinod Tare told the “Jerusalem Post” that the Ganges cleanup project is expected to take from 25 to 30 years and cost some US$20 billion. In partnership with India’s Environment and Forest Ministry, teams from seven institutes, including Professor Tare’s, are creating a plan for the river’s environmental management. They hope to ensure the continuous flow of unpolluted waters with zero discharge and recycling of wastewater from its headwaters at the Gangotri Glacier in the Himalayas to the Bay of Bengal. The livelihoods of an estimated 500 million people in India are dependant upon the river, and one-third of India’s population lives within the Ganges Basin. Concerned about the deteriorating condition of the Ganges, religious and environmental leaders have been campaigning for a comprehensive cleanup of the river for years, using hunger strikes and public meetings to influence the government. On May 4, environmentalist Swami Gyan Swarup Sanand, 80, who has been fasting without water to press for his demand for Ganges conservation, was again admitted to hospital in Varanasi. The activist taken to hospital by police after his medical report showed deteriorating health. The environmentalist, formerly known as Dr. G.D. Agrawal, began his third fast without water on May 2, demanding the shut down of hydroelectric dam projects on the river. 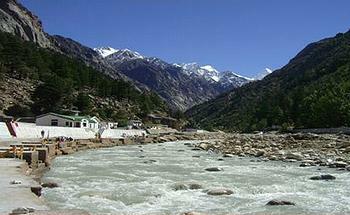 The Indian Council for Enviro-Legal Action, or ICELA, says the Ganges is in danger from dams proposed for the stretch of river between Gangotri and Tehri. “These dams will not only severely impede the flow of the Ganga, but will also have cascading effects on the livelihoods of the adjacent human communities and the biodiversity and stability of the surrounding natural ecosystems,” warns the group, which is headed by prominent environmental scientists and attorneys. As the climate warms and Himalayan glaciers retreat, the Ganges will receive less and less glacial runoff, ICELA warns, citing a United Nations 2007 Climate Change Report suggesting that glacial flow may stop by 2030. 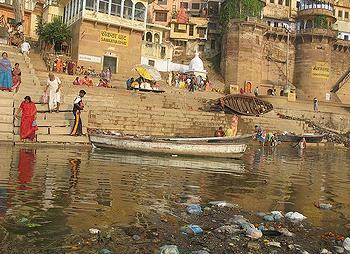 At that point the Ganges would be reduced to a seasonal river that flows only during the monsoon season. All along the Ganges, industries are dumping massive amounts of pollutants directly into the river, says ICELA, and wastewater from riverside communities runs into the water untreated.